SPAR UK Partner, James Hall & Co. Ltd., recently sponsored the 12th edition of the Lancashire School Games, the largest youth sporting event in the county. More than 2,000 pupils from 15 districts took part in the Games in a bid to be crowned county champions in 16 sports. Following months of qualifying competitions, youngsters from schools across Lancashire battled it out in glorius sunshine with a total of 55 medals won. Keeping with tradition, the opening ceremony was hosted by local radio station, Rock FM. One participating pupil shared a speech at the opening ceremony, underpinning the values of the SPAR Lancashire School Games: determination, honesty, passion, respect, self-belief and teamwork. The event mascot, the Lancashire Lion, was on hand to cheer on pupils throughout the day, while more than 200 young volunteers supported the event in a variety of ways. 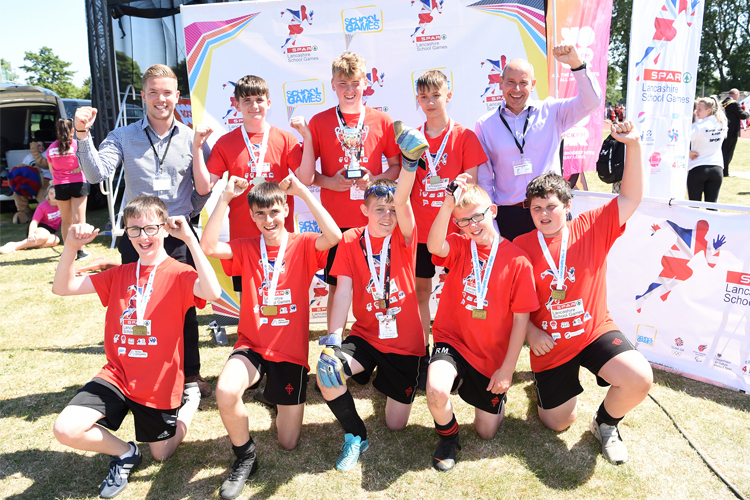 Now in its twelfth year, the SPAR Lancashire School Games is organised by Active Lancashire, implemented by the county’s school games organisers and sponsored by the SPAR UK Partner. Each organisation comes together to comprise a series of inclusive sporting events that provides competitive and participative opportunities for all school children across Lancashire. The United Kingdom (UK) became a member of SPAR in 1956 when a group of independent wholesalers obtained the SPAR licence from SPAR International. There are five regional partners with strategically placed Distribution Centres in each region. A Central Office located in London provides national Marketing and Buying services for the group and supports the development of the SPAR Brand in the UK. SPAR has led the convenience market in the UK for many years but has faced increasing competition in recent times. Always innovative, SPAR Partners have continued to grow the brand. A combination of independently-owned licensed retailers and company-owned stores spanning forecourts, airports, train stations, city centres and local neighbourhoods can be found throughout the country.